On Monday, the Williams Institute filed a report with the United Nations showing how the lack of protections against employment discrimination based on sexual orientation and gender identity constitute human rights violations in the United States. Based on social science research and legal analysis, the report suggests the United States is not complying with its international human rights commitments, particularly in the areas of employment, health, youth and violence against LGBT people. The United Nations has recently begun a review of the human rights record of the United States. In its last review, the United States accepted recommendations to address discrimination against LGBT people in order to comply with international human rights standards. However, there is no federal law that protects LGBT people from discrimination in the workplace. 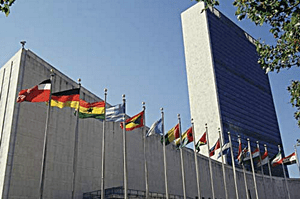 The report is a follow up to earlier testimony by Williams Institute scholars presented to the U.S. State Department in July as part of the Universal Periodic Review process.